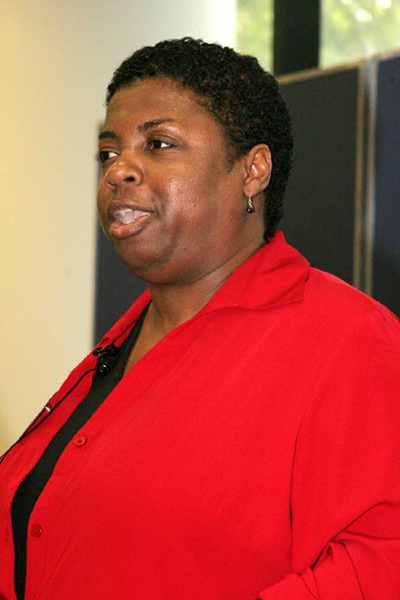 Tuskegee native Angela Johnson (1961- ) is a poet and award-winning author of children's and young-adult books, often dealing with challenges of African American life in Alabama. Courtesy of Birmingham Public Library. Photograph by Larry O. Gay.